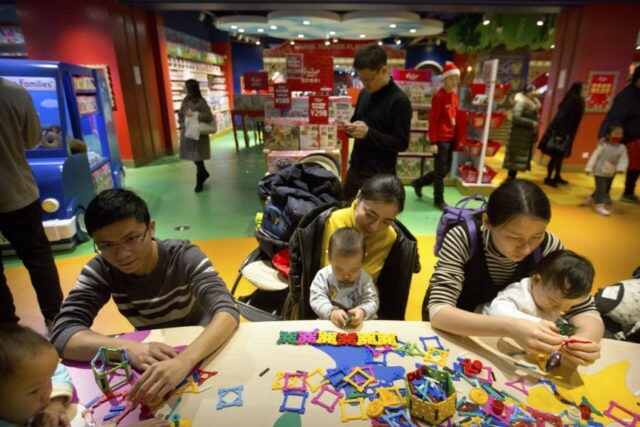 BEIJING (AP) — The birthrate in China fell last year despite the country easing family limits and allowing all couples to have two children. The National Bureau of Statistics says there were 17.2 million births in the country last year, down from 17.9 million in 2016. China changed its long-standing one-child policy in 2015 in hopes of reversing the trend toward an aging population. The number of births rose nearly 8 percent in 2016, and nearly half of the babies were born to couples who already had a child. That appears to have been a one-off, however, with couple’s decisions affected by the trend toward later marriage, the desire for smaller families and concerns about the high cost of raising children.